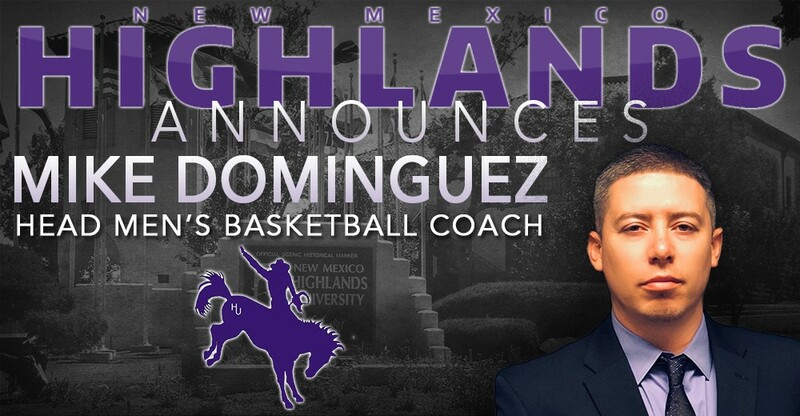 Western New Mexico University Head Men’s Basketball Coach, Matt Enriquez has stepped down announced Director of Athletics Scott Noble. Enriquez has been at the helm of the Mustang men’s basketball program for the past 3 seasons, and before that an assistant for 10. He began his college career in 2002 as a student-athlete. Back when the Mustangs competed in the PAC-West and Heartland conferences, Enriquez was a three-time All-Conference selection. He is also WNMU’s NCAA all-time leading scorer with 1,591 points, and 2015 inductee to the WNMU Hall of Fame. After completing his eligibility, he began his coaching career as an assistant coach with the men’s basketball team from 2006-2016. Following the 2016 season he was promoted to the head position. .
“I am very grateful for the opportunity I had to lead this program. I will cherish all the relationships and memories with the players and staff. I am confident that the program is poised to take great strides next year. After 17 years of being a part of the program as a player and coach, it is time for me to pursue other opportunities outside of coaching,” said Enriquez. Director of Athletics, Scott Noble, praised Enriquez for his commitment and loyalty to Western. “Matt has set the groundwork for future success by embracing the department’s foundational values, and aligning his program with our cultural principles. These principles are evident in his recruiting, and the academic and athletic development of his student-athletes. From day one with me, Matt’s work ethic and moral character has been obvious in his approach to doing the right things the right way, and that will certainly become evident in the future of our men’s basketball program”. Enriquez will stay at the helm until a new coach has been hired. WNMU will conduct a national search immediately.